There’s a great chance that even if you’re not very familiar with all of the trends in VR, you’ve at least seen someone using one headset or the other. VR headsets are crowd pullers, as everyone’s interested in the unique experience they’ve been said to deliver. Immersing yourself in an alternative reality can have a range of useful applications. As the price of consumer VR products keeps coming down, you must be thinking about getting some VR headset yourself. There is a question you have to ask yourself though; “What use will I be getting out of my headset?”. There might be a few apparent uses you’ve researched for a VR headset, but there could be many more useful ways it could be used in daily life. In this article, we’ll be looking at how to use virtual reality in your life. How to Use Virtual Reality in Your Life? Gaming is one of the most popular, if not the most popular, use for virtual reality. Even though there are a lot of other uses for VR, the reality is that consumer VR technology wouldn’t be at the point it is today if it were not for gaming. Gamers have welcomed the technology with open arms, and there’s a good reason behind it: VR provides a whole new way of experiencing games. Playing with a console controller can be very convenient. Some people even enjoy the vibration feedback that most modern console controllers provide. If you think that provides an element of immersion, then be prepared to be completely blown away when you step into virtual reality. The recreation of a beautiful video game environment on a 1:1 scale beats pretty much every other way of viewing it. The visual information coupled with the head tracking makes for an experience that you likely won’t forget anytime soon. Be warned though, once you’ve played a game in VR it can be hard to go back to conventional TVs or computer displays. Read more in our guide to Gaming In Virtual Reality. Many of us enjoy movies from the comfort of our homes. There’s just something incredibly immersive about being alone and watching a movie with full concentration without any breaks. But the reality remains that a major appeal of cinemas is simply the giant size of the screen on which you get to enjoy each detail of a movie. Virtual reality can help here too. Oculus has an app called Cinema which lets you enjoy a cinema experience anywhere you want. So you can be in bed and just by wearing a headset you can watch the movie up close with great detail and immersion. Be sure to pair your VR headset with a high-quality surround sound headphone to make the experience even better. Read more in our guide to VR in The Entertainment Industry. VR could soon bring the complete stadium experience to your living room, so you and your friends can watch sports together while in a virtual environment. Like most entertainment activities, going to the stadium isn’t just about watching a game live in person, it’s about being with friends, cheering, having discussions and talking about the stats. When you’re watching a game home alone, the social element is entirely missing, and the activity just isn’t as fun. That’s where VR will jump in. Soon enough, with apps like LiveLike VR, you’ll be able to watch sports games in VR and while you’re doing that you will be able to invite over your friends to join in on the action. There will be a voice chat option so you can all talk together about the game as well. It’s a very immersive way of watching sports at home, with the inherent benefits that a VR headset provides in visual immersion and the voice chat aspect augmenting the experience even further. Whether you’re spiritual or not, meditation can come in quite handy to ease off stress and anxiety after a hard day. But the fact of the matter is that very few of us have the luxury of going someplace serene and beautiful after a work day, so traditionally you’d be limiting to meditating in your bedroom. With VR though, that does not have to be the case. Several companies have come forward with meditation-focused VR experiences in which the user is transported to a meditation centre or some beautiful place where they can look around and relax. The experience of meditation is elevated when in a beautiful and quiet place, and a VR headset is the ideal way to achieve that from your bedroom. In fact, some people are so busy in everyday matters that they might not get the chance to go to unusual places for meditation at all. In that case, all it requires is a headset, even a basic one like the Google Cardboard, to be transported to an entirely different environment. Touring has become somewhat of luxury with increasing bills and today’s fast-paced life. Most people will only go travelling on vacation days or a special occasion. So if you’re interested in discovering new places, there are a few chances you’ll be able to do that. Fortunately, there are now virtual reality apps that let you tour complete digital recreations of famous places. The experiences vary in quality, but you’ll still be looking around and with the help of motion controllers, walking around the places like you would in reality. One of them is the most recent NASA application that lets you explore Mars in VR. Virtual reality is already being used to treat people with mental health complications. VR has been shown to increase the mental health of people suffering from PTSD, anxiety and some other mental illnesses. However, you do not have to have a troublesome mental complication to get the mental health benefits. As mentioned earlier, there are now VR meditation apps out there that can help ease your stress which can undoubtedly be useful in improving your mental health in daily life. Read more in our guide to Virtual Reality in Healthcare. Virtual reality is slowly but surely creep into every person’s life. Its adoption rate has been gradually increasing recently thanks to the availability of affordable headsets that can work with something as simple and readily available as a smartphone. And with the increased adoption of VR, companies are sure to bring out more life-improving applications. Just as smartphones have improved our lives by giving us easier means of communicating and sharing, virtual reality could also soon become an integral part of our lives that add significant value to it. For more information on how to use virtual reality, visit our guide on The use of Virtual Reality in The Future. 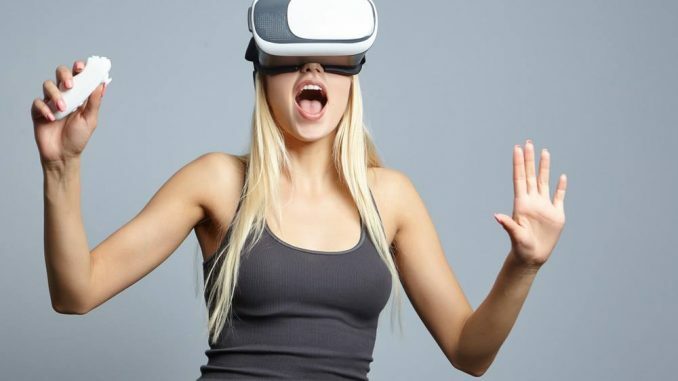 2018 has been an entertaining year for Virtual Reality enthusiasts, how 2019 will be though? Read our article to be informed.